We started to set up this wash and fold laundry service website for the owner and then he had to put things on hold. Due to personal reasons, he was forced to move from Iowa City to Des Moines, Iowa. Now that he has re-established himself, we are back to working on his website again. We have to get the site verified again at the new location in Des Moines, Iowa. 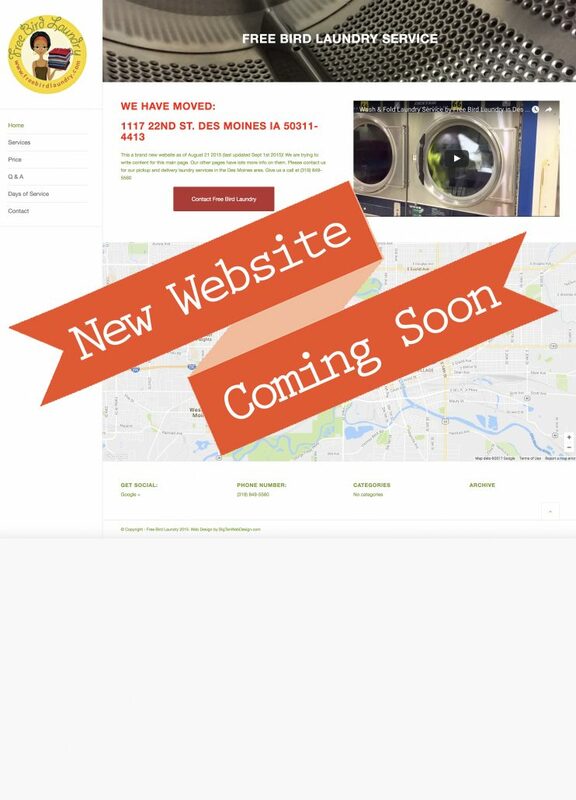 We also have to finish getting the site’s services pages updated to reflect that his wash and fold is now located in Des Moines, IA. Once we accomplish those changes his clientele should go back up to what it was in Iowa City, IA, if not more, due to his now central location in downtown Des Moines.